A Rockingham native who joined the Spring Lake Police Department about six months ago is finding an unorthodox way to meet the residents he now serves — on the court, not in it. Spring Lake Police Officer Brandyn Lyles, a Rockingham native, is using basketball as a way to reach out to the community he now serves. Lyles is white; Spring Lake, in Cumberland County, is a city of nearly 12,000 — and more than a third of the city’s population is African-American. Color hardly seems to matter, though. “Shoot with us, not at us,” the resident finished his Facebook post. The dig — and apparent expression of hope — was reflective of recent strained race relations between residents and police departments across the country — Ferguson, Mo., Cleveland, Ohio, New York and McKinney, Texas, among them. Sharon Newton, of Rockingham, said she’s “one proud momma” of her son, whose father Larry Lyles lives in Roanoke Rapids. Brandyn Lyles is married to Whitley Lyles. “He is a good man,” Newton said. Newton said she became aware of the pick-up basketball game when a photo of her son appeared in her Facebook news feed. “He’s trying to build rapport with the community,” Newton said. 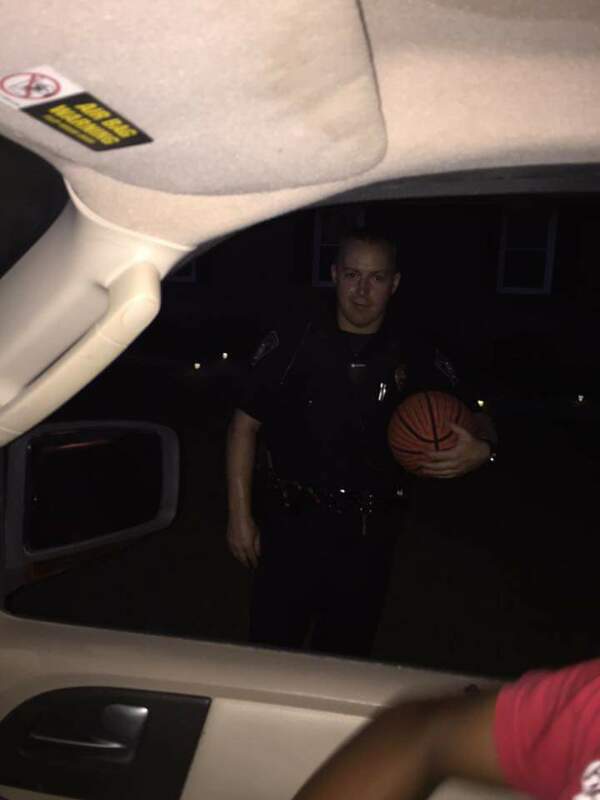 Monday night was the second time Spring Lake Police Officer Brandyn Lyles was “caught” playing basketball with area residents. 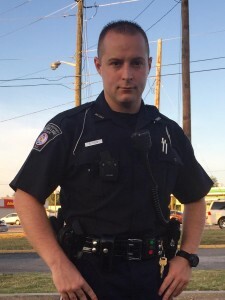 Before joining the Spring Lake Police Department, Lyles worked for a private firm in charge of security at the Social Security Administration building in Raleigh. Prior to that, he spent three years at Brown Creek Correctional Institute in Polkton. Lyles attended West Rockingham Elementary and Rockingham Junior High schools before attending Richmond Senior High School. He didn’t finish school, Newton said, but later went back and completed his GED. For three years, Lyles also contracted with the Army and assisted with the Robin Sage exercise, which serves as the final test for students attending the Special Forces Qualification Course at the U.S. Army John F. Kennedy Special Warfare Center and School.